Don't these look delicious? 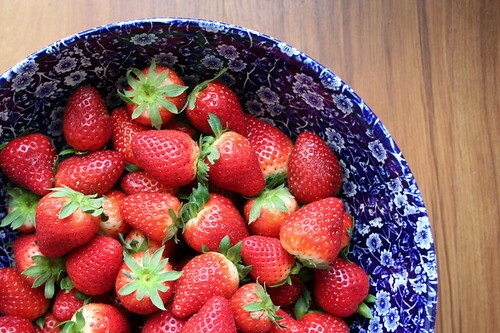 Strawberries are at their best at the moment and I picked some up on special to make a batch of jam. They looked so lovely that I couldn't resist doing a photo shoot before I chopped them up. Thanks for all the interest in the ornament swap. I will be collating the groups today and should hopefully be able to email you your group details tomorrow. If you have signed up by sending me an email with your address details and you do not get an email from me with your group details by Tuesday, then please contact me. you should totally post your strawberry jam recipe!